This target may be the best training target ever. It has six numbered accuracy dots, a silhoutte, and the following tactical hit zones: A-Center Mass , B-Cranial Vault, & C-Pelvis. The ability to shoot hundreds of rounds before replacing and an endless list of training scenarios will make this target your favorite. 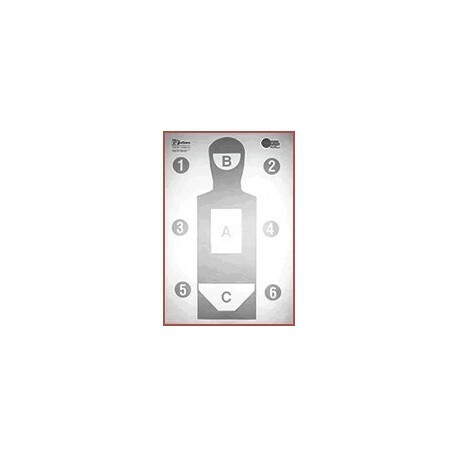 The Hoffners Tactical Training Target is a valuable asset for training beginners through advanced. Features light color for realism and sight alignment. Discounts for large purchases. Please call for quote.